Feld Entertainment’s newest Disney On Ice production is a celebration of royal proportions featuring Tangled, Snow White and the Seven Dwarfs, The Princess and the Frog and Cinderella. This December 25 to January 4 you are invited in this adventure extravaganza as Mickey Mouse, Minnie Mouse, Donald and Goofy follow four of Disney’s most inspirational princesses on their adventures to fulfill their dreams in Feld Entertainment’s newest ice spectacular, Disney On Ice presents Dare to Dream. Combining the contemporary stories of two modern-day princesses, Rapunzel and Tiana, with the classic elegance of Cinderella and Snow White, Dare to Dream whisks audiences away on exciting journeys where dreams really do come true. Have a musical voyage in New Orleans with the Princess and the Frog starring Princess Tiana and Prince Naveen, and then escape into the enchanted forest with Snow White and the Seven Dwarfs. The trip continues to Cinderella’s kingdom in her search for true love and follows Rapunzel as she discovers the world beyond her tower on her quest to see the floating lanterns. The Disney Princesses then come together for the first time on ice during the finale, to welcome Rapunzel into their royal court in the ultimate princess experience. If you loved Rapunzel in Tangled, this is the first time that they would adapt the story to the ice for the first time. With 2,000 feet of silk representing Rapunzel’s magical, golden tresses winds throughout the rafters of the arena and drapes down to the ice for use in a heart-stopping aerial act never before seen in a Disney On Ice production. Rapunzel and Flynn Rider escape the tower, flying 25 feet up in the air and performing daring acrobatics. Another classic favorite is the story of Snow White. Enchant in a darker and more mysterious story with Snow White, the Seven Dwarfs and the Evil Queen. Disney On Ice presents Dare to Dream seamlessly merges the classic with the new, maintaining the timelessness of some of the most cherished stories of all time, Cinderella and Snow White and the Seven Dwarfs, while also incorporating popular songs and unforgettable scenes from Disney’s newest fairytales,Tangled and The Princess and the Frog. From the lighting and scenery to the music, choreography and costumes, each element of Disney On Ice presents Dare to Dream magically combines to create a memorable show for the entire family. It's a magical and dreamy Christmas indeed! 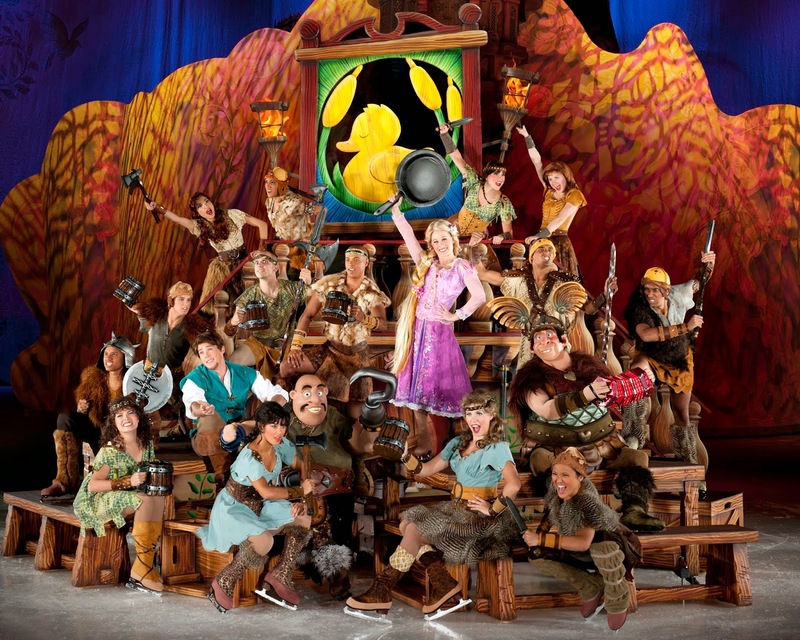 To purchase Disney on Ice: Dare to Dream tickets, visit www.ticketnet.com.ph or call 911-55-55 for inquiries.